VRC understands the trusted relationship our referring veterinarians have with their clients. Whether you are referring a patient for diagnostics, a second opinion or a specialized procedure, we provide the highest level of professional service and treat your clients with compassion and respect. Our specialists are skilled at performing a range of advanced diagnostic and surgical procedures, and will work closely with you throughout the process to provide the best course of treatment for each patient. We will provide you with a medical report following any visits, tests or procedures, and will consult with you regarding appropriate follow-up care. To refer a client to our practice, please complete our convenient online referral form. You may also print out a PDF version of this form and fax it to our office at 610-296-3835. We are open 24/7, 365 days a year; if you would like to consult with a specialist by phone, please call our practice at 610-647-2950. At VRC, we place a high value on continuing education, in order to provide the latest advances in medicine and technology to our patients. We invite you to check back frequently for a list of upcoming continuing education seminars. Below you’ll find answers to frequently asked questions by referring veterinarians. Additional FAQ can be found on our Pet Owners page. Q:When should I refer to a specialist? When you diagnose a difficult problem, recognize the need for a second opinion, believe that a specialized surgery or procedure may be indicated, or if a patient is not responding to treatment as expected, you should discuss a referral with your client. Q:How do I refer a patient to VRC? Please submit our online referral form to refer your patient to us. You can also print out a PDF version of our referral form and fax it to our office at 610-296-3835, or simply call our practice at 610-647-2950 to consult with one of our specialists. We are open 24/7, 365 days a year for your convenience. Q:What are the advantages of referring to an ACVS certified specialist? Dramatic advances in the veterinary profession have made it challenging to remain current with the techniques and instruments for managing some of today’s complex surgical cases. By referring to a specialist certified by the American College of Veterinary Surgeons (ACVS), you guarantee the best equipment, training and experience for your clients’ advanced needs. Q:How do I prepare my client for a consultation with VRC? Please review with your client the reason their pet needs specialized care and provide them with copies of any pertinent medical records, medications, lab reports or images to bring to the consultation. Please complete our referral form and submit it to our office online or by fax, prior to your client’s first visit to VRC. Q:What happens if my patient needs additional care outside of your scope of services? Our primary goal is to give each patient the comprehensive care necessary for diagnosis and resolution of any medical problems, for the best quality of life. 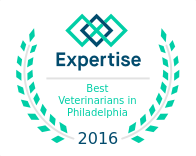 If a problem is outside of our range of expertise or the patient requires adjuvant therapy, we become a referring veterinarian and coordinate with you to find the best specialist from our network of professionals. Q:How will I stay updated on my patient's status while in your care? We believe that open communication with the primary vet is essential to providing clear management of each patient’s case. When possible, our staff will personally call you with a verbal report following any procedures. Once available, we will also forward any lab results to you. We will also consult with you regarding your patient’s prognosis and follow-up, to ensure a seamless continuum of care.